This winter was a brutal one when it comes to stomach bugs. My friends’ kids were getting hit one by one, and it seemed inevitable that it would make its way into our house at some point. And on Valentine’s Day, it finally did! If you’ve ever been up all night with a vomiting child, you know that it is miserable. After a few hours of scrubbing, crying, rocking, and doing laundry, mommy and baby pass out on the couch, only to repeat the entire process two hours later. And I’m always faced with the same dilemma. What do I do? What do I give her? How soon? How much? So I talked with an infant pediatrician (my mother), did some research of my own, and tried to remember what worked and didn’t work for us last time. I’ve come up with an easy to follow guideline that takes you through what to give your child immediately after, a few hours after, and a day after vomiting. What we want to focus on is 1) hydration, 2) avoiding things that lead to another (preventable) vomiting spell, and 3) providing gut-healing nutrients. It’s a common mistake to give a child water to drink immediately after they’ve thrown up. They may be asking for it, and you may feel bad because you know the taste they must have in their mouth. The stomach lining is inflamed and irritated, and too much water too soon will most likely cause another vomiting spell. Wait 15-30 minutes, and give your toddler 1 teaspoon of room temperature water. 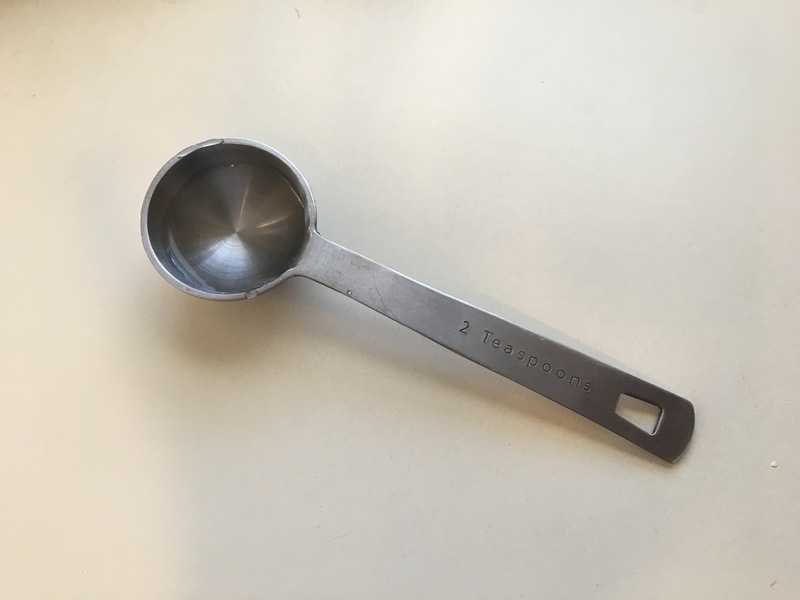 Wait 15 minutes before you give the next teaspoon. Don’t give her any food or liquids other than water. Peel and cut up 1/2 cup of cucumber and sprinkle on some salt. The cucumber is hydrating since it is mostly water, and the salt helps replenish minerals. Mix 1 tablespoon kombucha into a small bowl of (unsweetened) apple sauce. 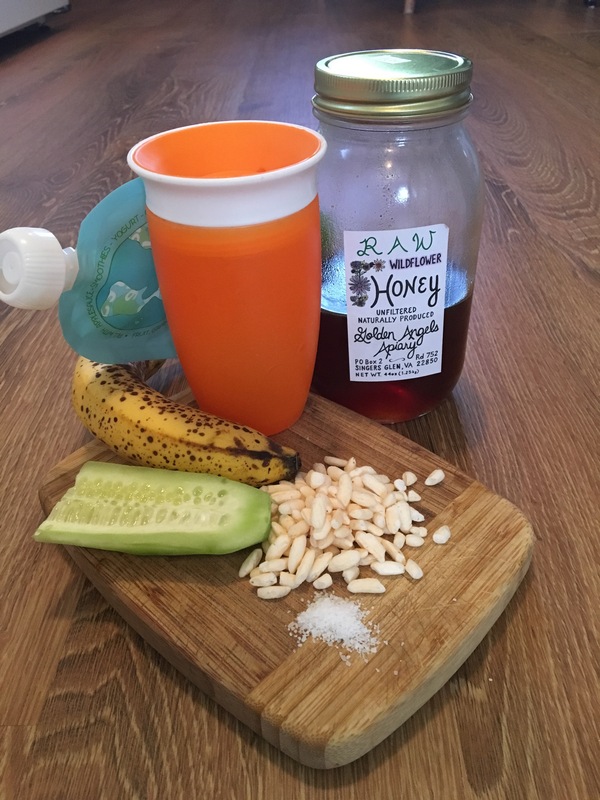 The apple sauce is hydrating and provides some vitamins, and the kombucha is a probiotic, which feeds the good bacteria in your toddler’s gut (so they can fight the bad bacteria). Another option is to use an actual probiotic. Mix half of a capsule of probiotic (or a probiotic for kids) in with the apple sauce. Half a banana, mashed. It’s bland, fills the tummy a little, and provides some good nutrients such as potassium. 1/2 cup plain puffed rice, a rice cake, or a bland gluten-free cracker or piece of toast if she is used to eating that. This doesn’t really provide nutrients, but will give her something to munch on if she’s hungry. Follow your gut, don’t rush it, but watch out for signs of dehydration (read about signs here). Don’t hesitate to call your pediatrician, especially if your toddler can’t keep any liquids down or has a very high fever. I hope this gives you some ideas! What do you give your kids after a stomach bug?